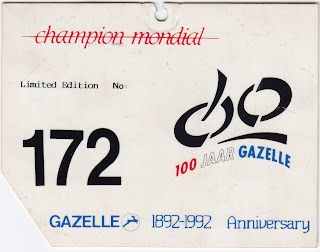 This is an Identity Card for a Limited edition "Gazelle Champion Mondial Jubilé". 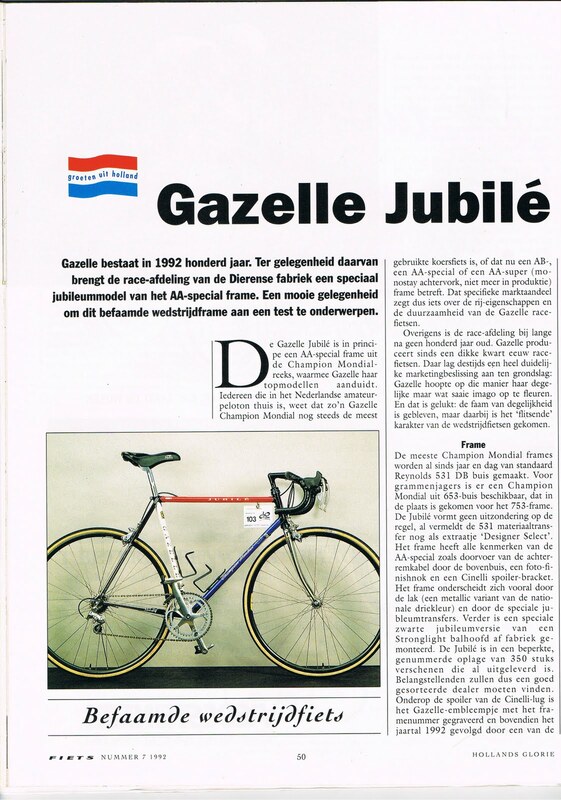 400 bikes were built in 1992 to celebrate 100 years of Gazelle, that became since that year: Royal Gazelle. 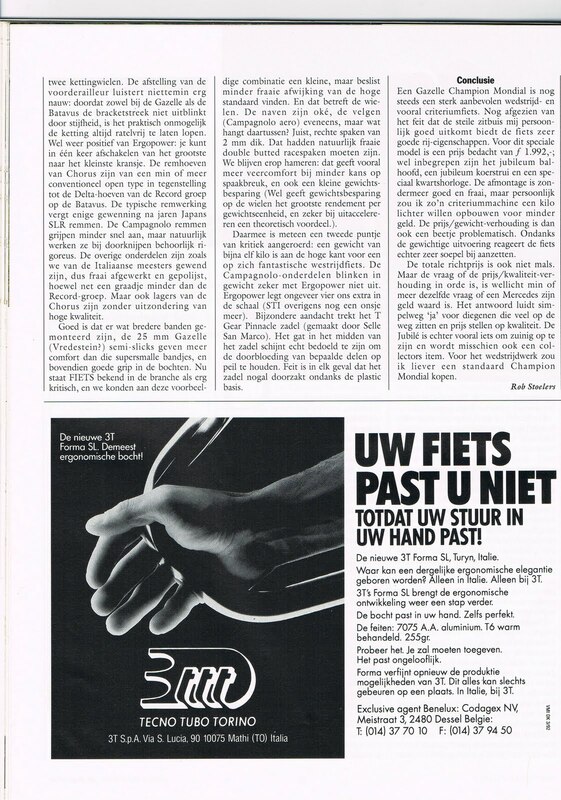 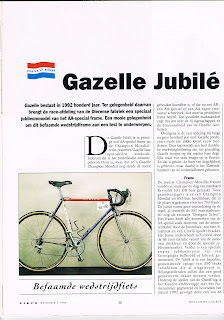 Below an article, in Dutch, about the Gazelle 1992 Jubilee. It was published in the magazine "FIETS" july 1992. 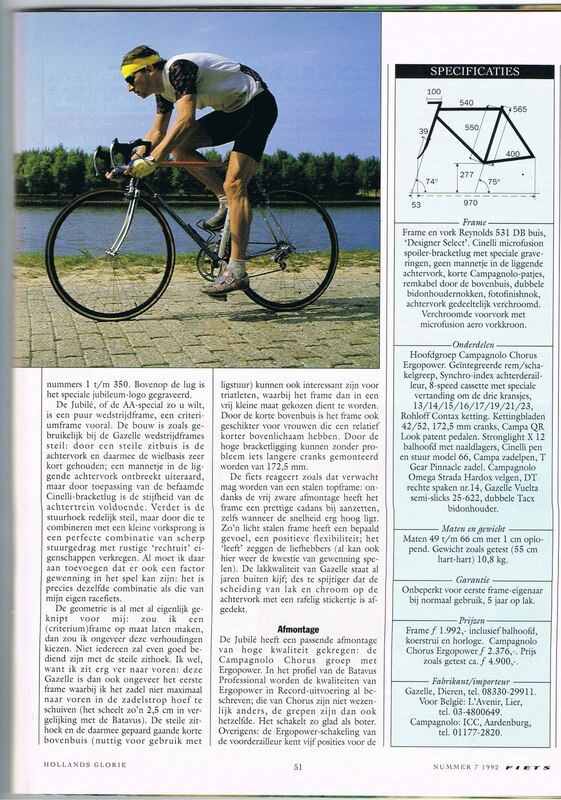 Despite it is in dutch, many technical details can be found here. This test version was in 1992: 4900 Dfl.